An ad released today for Minnesota’s Great River Shakespeare Festival parodies Bravo’s plethora of “Real Housewives” with their summer lineup of Shakespearean leading ladies. On the surface, it’s just good fun – Lady M tearing up that there is more to her than just being “evil,” Goneril throwing a hissy fit about being the favorite, Titania threatening to call up storms on Denmark when Gertrude insists she is the better Queen, and little Juliet spouting romantic inanities. Shakespeare’s audiences loved the same drama we do – forbidden romance, competition, ambition, family troubles – we watch them all the time, whether we admit to watching Real Housewives or tune in to Glee or Mad Men instead. We love drama. Shakespeare wrote dramas, and he wrote better than anyone on staff at Bravo (though let’s just forgive him for Henry VIII, ok?). Yes – this is an ad. But it’s a good point to take back to your classrooms next fall when your new crop of students moans their first anti-Shakespearean tones. If they watch TV at all, they’ll get what’s going on with Shakespeare’s plays – they’re just going to see it done better. Stage a Scene – give groups of students a scene from a play you studied this year (or didn’t) one scene to perform for the class. They may cast and direct themselves, and rehearse in clumps in your classroom. Have a trusty group? add an extra level of interest and send them into the yard (with permission) to record their performances on video (camcorders, smartphones, any media they have available) and air them for the class at the end of the week. Make a Mashup – Hand out lines from the play you studied in class this year, as well as lines from another play (15-minute versions are great for this). Fill the students in on the plot of the new play, and give them the class period to create a 2-minute mashup scene from the lines they have. For even more mashing, give them lines from any play! Perform the scenes for the class in the next period. Create a Quarto Yearbook – using 1 sheet of 8.5×11″ paper, fold twice (once each way), and mark the each of the page numbers while it’s folded (even the ones you can’t see, yet). Open the paper again, and pass it around to classmates to write a couplet, compliment, or quote, or even draw on each page in the direction of the number. Once it gets back to the original student, re-fold, cut the folded-over parts open to make the pages even, hole punch the center-line and bind with a piece of string. Make a cover out of construction paper and glue it to the “book.” This is how many books were printed in the Elizabethan era (only, of course, the printers would have used typeset), including collections of Shakespeare’s poetry. “As Luck Would Have It” – Shakespeare’s plays hold the first recorded use of many words and phrases we now find familiar today. Give your students a handout of some of these phrases (link is to a Folger handout), and have them create a short story using a certain number of these phrases. 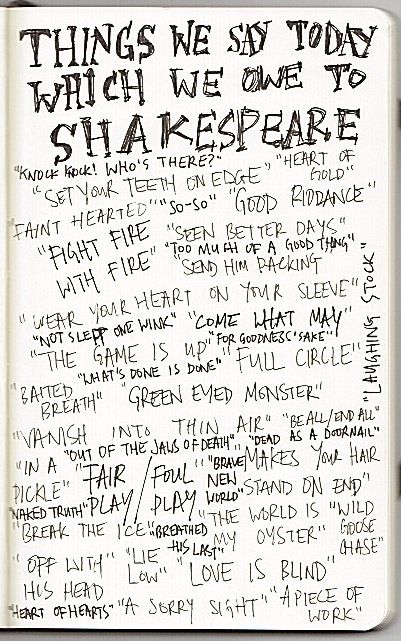 Shakespeare also used words never before seen – like “eyeball” and “unreal” so don’t be afraid to combine your own words, too! Certainly, you are as eager as your students to get to the last day of school, but keep checking in with us all summer! We’ll keep posting news, ideas, and tidbits that you may be able to incorporate into next year’s lesson plans! (But we won’t go there, yet). ~Much Ado About Nothing Act I, Scene i. Yesterday Carol Ann and I got to lead a School Visit Workshop which I had been looking forward to since winter. I don’t usually get to lead this program, as it’s one the Docents have ably developed and directed for the last 30 years, but this group was special to me and I really wanted to give them my personal touch. 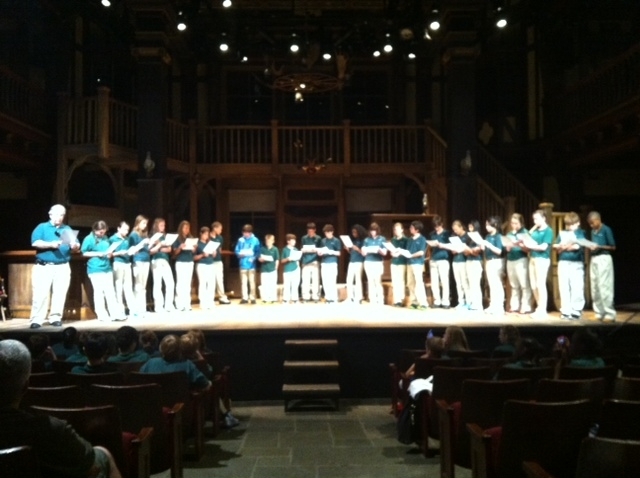 What is so special about a group of 7th graders from Holy Cross in Dover, DE? For one thing, this is my father’s class and he would be attending. For another, HC was where I went to school from 1st-8th grade, and I remember having very little Shakespeare in the curriculum. However, I let myself get a little carried away with my passion for the subject (sorry, Carol Ann). After about an hour of activities (like Elizabethan Dress, Shakespeare’s Theatre, and Tragic Deaths) I asked them what they’d picked up so far. They mentioned school practices, dress codes, and “a bunch of people get stabbed in these plays.” Not wrong – I responded – but besides those 10 plays we’ve talked about already, Shakespeare also wrote comedies and histories. They may not always look funny, but if someone gets married at the end you know it was supposed to be a comedy. In all of the plays, we’re usually looking at Kings and Lords and high-ranking officials – but we see ourselves there, too. These characters are like us – they want something, they want to be king, they want to be in love, they want to be better – and we want that, too. They’re just able to say it for us. As we officially wrapped up, I reached out one more time: If you take nothing else away with you today, just remember this. It hasn’t happened yet, but sometime in the next few years you are going to be assigned a play by Shakespeare to read in school. If your teacher tells you to read it quietly at your desk, nicely put your hand up and say ‘Excuse me, but this is a play – can we read out loud?’ And if they say no – respect that, make notes about the words you don’t understand while reading, go home and then read it out loud. Read it together out loud. Because these works are not books, they were never meant to be read, they were meant to be heard and spoken. Do that, and you will get a better grasp on them than you would reading quietly at your desk. I’ve been passionate about Shakespeare since I was younger than they are – so I tried to let that passion show. It may have helped connect them, too, that at the end one of the parents asked Carol Ann and I what our positions were and how we got to the Folger. I revealed that I was the English teacher’s daughter, and that I went to their school (gasps!). Someone from their state, from their school now works at this giant building in the nation’s capital. For them, the possibilities are wide open – as long as they discover their passion and dedicate themselves to it with their whole heart. I’m so grateful to Carol Ann for being so open to doing this program with me, and for my Dad arranging the visit. I don’t get many opportunities to pass on my passion to students face-to-face, and I felt like I saw a couple of new Shakespeareans emerge from our Theatre. I hope that their interest lasted longer than the trip back to Delaware. For me, at least, it was a very powerful experience. As I mentioned in my post, “Oh, to Be in England” on May 3, Shakespeare’s Globe is presenting a marathon of 37 plays with acting companies from around the world. But if you can’t get to the Globe to Globe Festival, there is now an alternative. A UK site called The Space is running full-length videos of them for free. And the best part is, you don’t need to stand in the cold and rain as the audiences seem to be in these videos. Pericles is performed in Greek with scene description in English. “Thanks to a slapstick production courtesy of the National Theatre of Greece, and the Globe’s ambiance (helped by the fact that the rain stayed off), better than you might imagine – not least because London’s Hellenic community seemed to be out in force to watch it,” wrote Alex Needham in The Guardian. Venus and Adonis is performed in a variety of languages by the Isango ensemble from Cape Town, South Africa. Spoken in IsiZulu, IsiXhosa, SeSotho, Setswana, Afrikaans & South African English, the production is musically and visually thrilling. While this is not a play but a narrative poem, it counts as number 38 for the Globe. So far that’s all the videos that The Space has posted, but if you want to see the rest of the Globe’s season, keep checking it out. And if you do watch any of these full-length productions, be sure to add your comments below. I’ve written about student festivals before, but I want to come back to the topic again and, this time, look at the thematic lines being explored by students and teachers in their festival performances. Recently, I attended Shakesperience: NJ at The Shakespeare Theatre of New Jersey. Two days of absolute delight watching students engage the text and make meaning of Shakespeare’s language. What is not to like about that opportunity? While many of the schools presented selected scenes from the plays, or reduced versions of the play (keeping Shakespeare’s language in tact), some looked at thematic lines and explored them through excerpts from a number of the plays. 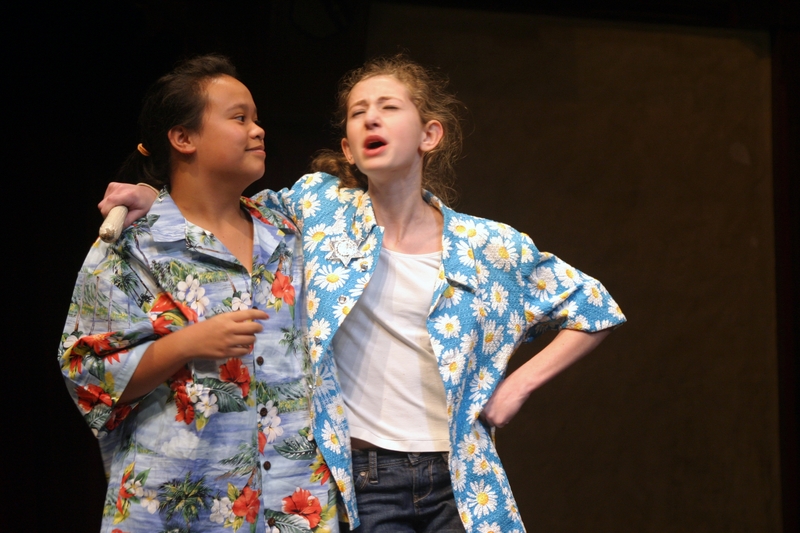 Among those performances was one on “love’s confusion,” taking scenes from Twelfth Night and A Midsummer Night’s Dream. Another explored the “trilogy of evil” in Julius Caesar, Macbeth, and Titus Andronicus. What is interesting about these thematic choices is that the students were directly involved in selecting the scenes used to explore the themes, demonstrating that close reading of the text has a direct link to performance-based work on the plays. Love and evil are two common thematic links to Shakespeare’s plays, to be sure. 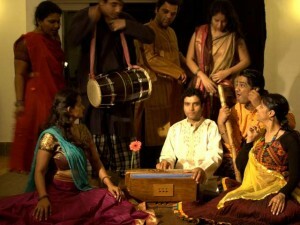 I wondered what others there were and what plays might be used to present them in performance. So, if you and your students have presented a series of scenes from Shakespeare’s plays linked to a theme, share what you did with the rest of us. It might be a great way to introduce your students to several plays without taking them through the complete work. I’ll admit. I was wary of my first Children’s Festival. And each year I’m still a little wary. I know they can do it. They know they can do it. But will they do it? Will they speak the speech? And every time I am pleasantly surprised. 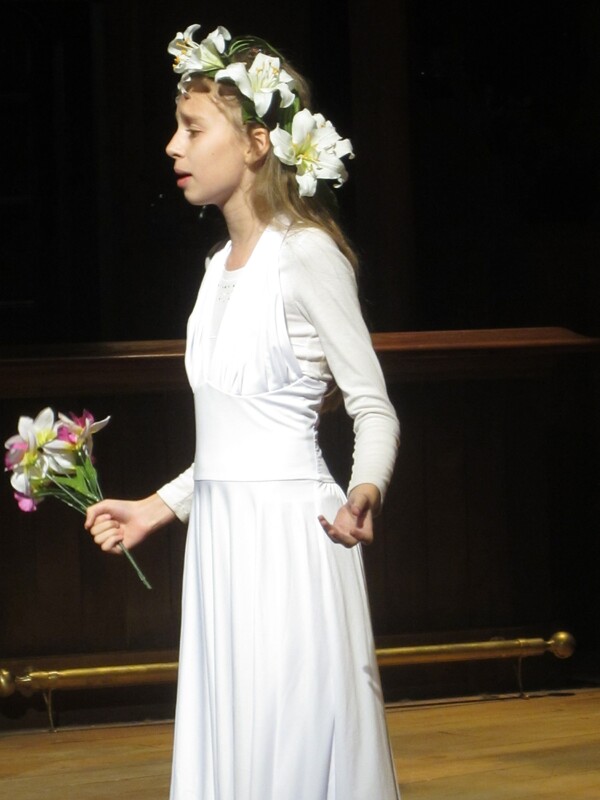 Yesterday we had a 9 year-old Lear who howled as heartbreakingly as any RSC alumnus. We had a tiny Lady M who covered for a missed line and blocked exit by grabbing her “husband”‘s daggers and shoving him out of the way to finish the bloody deed. There was even an incredibly emotive Ophelia and regal Gertrude who, though English was their second language, gave so much character to their roles that it could have gone on for 4 hours and no one would have complained. Today as I watched an impassioned 4th grade Brutus defend his treasonous actions in an oration, his teaching artist leaned over to me and whispered, “He has ADHD and can barely sit still to read a book.” Yet here he was, listening to his fellow actors, speaking loudly and clearly, and injecting his speeches with feeling. Yes. They can get nervous. So can you, as their teacher. But elementary students CAN and WILL read and perform Shakespeare. It’s just up to us to give them the opportunity to. I’d like to dedicate today’s blog post to recognizing YOU, Educators. May 7-11 is Teacher Appreciation Week in the US. Maybe some of you have some fresh, shiny apples on your desk as a show of appreciation from your students! We appreciate your hard work collecting materials and resources for your classroom – however big or small it is. For standing in front of a roomful of students, or spending time one-on-one with a single learner, to work through ideas and concepts until they understand something new. For taking the time to decide the best way to impart these new ideas, and for executing them in the best way for your class. For arranging extra-curricular events to further their understanding, and for grading multitudes of projects and papers and tests to evaluate what they have learned. Thank YOU for all you do to enliven and enlighten your classrooms. 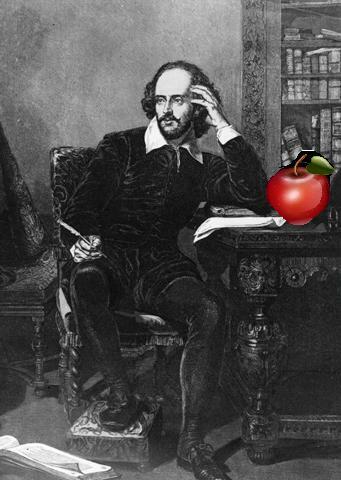 Please let us know if there’s any support or resource you’d like to see from us in the future that would be useful to you in keeping your classroom engaged with Shakespeare during your lessons! We’re here for You!